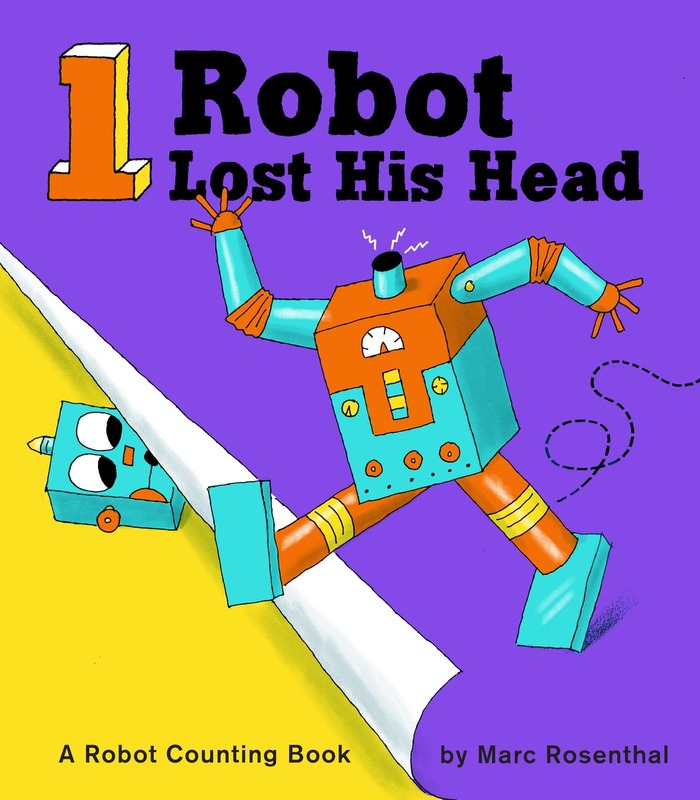 One Robot Lost His Head follows the travails of a slightly clumsy robot who can't quite keep track of his own head, and the smart robot pals who help him find it. A gatefold on each spread opens to reveal a visual punch line that teaches kids basic number skills while making them laugh. Each number is presented as a bold numeral, with a matching number of robots shown on the spread.The robots, though not human, are nevertheless full of charm, and their antics, captured perfectly in Marc Rosenthal's colorful, funny illustrations, are sure to crack up toddlers and preschool-age kids.